Fee Simple Home: This type of home is a free standing dwelling that is owned entirely by an individual or a household, without a shared interest from a neighbor in an adjoining or neighboring unit. 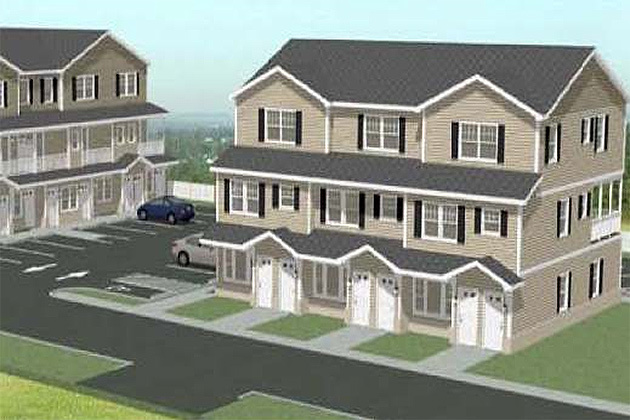 These homes may include townhouse style buildings where units are attached and there is a “zero” lot line. Often the exterior maintenance of the housing and lot is the responsibility of the owner, and not the common homeowner’s association. However, there may be some common areas, such as roads, in a development that are maintained by a homeowner’s association. Condominium (Condo): A condominium is a form of home ownership in which each dwelling unit is separately owned but there are common areas within the development such as hallways, parking lots, roads and/or shared recreational amenities that are owned jointly by all owners together. The building style of a condo may be single or multi-story building(s) or multiple attached or unattached townhouse units. In some cases, the shell of the building, including the roof and exterior walls is owned commonly - the unit owner simply owns and maintains the interior of the unit. Condominiums frequently levy monthly “common charges” to each owner to help pay for the maintenance of the commonly owned areas. Condominiums administer their properties through boards and/or associations with members being elected from all owners, and can also be assisted by a management company. Rules and regulations governing the condominiums are established by the rules of the development’s incorporation and may be modified by these boards. Cooperative (Co-op): A cooperative is a form of home ownership in which the occupants own shares in the entire property and possess the right to occupy their unit and sell it whenever they choose. Monthly “common charges” or “maintenance charges” are often levied. Co-ops administer their properties through boards and/or associations with members being elected from all owners, and can also be assisted by a management company. Rules and regulations governing the condominiums are established by the rules of the development’s incorporation and may be modified by these boards. Co-op Rentals: Some co-op Bylaws assign owners the right to rent their units. The tenants of these units pay rent to the owner of the co-op. A Practical Guide for Cooperative Success, published by Northcountry Cooperative Foundation, is a guide designed for use by co-op boards of directors and its residents. It defines what a cooperative is, explains how co-ops are managed and governed, explores what co-op members can do to recognize and weed out problems and provides guidelines to promote the best elements of cooperative living. Boards, Bylaws and Rules: Understanding & Dealing With a Co-op Board of Directors Office is a brochure which addresses the role of the co-op board of directors and what to do if the board is not complying with the co-op’s Bylaws. “How to Handle Problems with a Co-ops Board of Directors” (link to: FAQ Handling Problems with Bd of Dir.pdf) answers frequently asked questions on handling problems with Board of Directors. Both are published by the NYS Attorney General’s Real Estate Finance Bureau. A homeowners’ association is an organization established to govern a private multi-unit housing community. Typically, it owns and manages some common property for the owners of the private houses, fee-simple, condominium or cooperative units. Once a home or lot is purchased the owner automatically becomes a member of the homeowners association. The primary purpose of the association is to protect and preserve the value of the privately and commonly used property. In addition, the association may have the responsibility to repair and maintain portions of the community, such as roads, roofs, exterior walls and recreational facilities. The Web site for the New York State Attorney General’s Office provides detailed information on how to handle problems with a homeowners association. The content of the offering plan governs the sponsor’s obligation regarding the size and construction of the units and recreational facilities. It is very important to read and understand what is included in an offering plan. Salespersons may make exaggerated statements about the recreational facilities or residential amenities in the unit, however if the statements are not stipulated in the offering plan, their claims are not required to be delivered and probably will not be. Anyone who purchases a home that is part of a condominium or homeowners association should receive and review a copy of the offering plan for units included in the plan. Buyers should carefully read the “Description of Property” section to determine the sponsor’s obligations and should not rely on advertising brochures, verbal statements from sales staff or glossy photos and architect’s renderings. The Web site of the New York State Attorney General's Office offers additional information on home ownership. In the Homebuyer Counseling section, several not-for-profit housing organizations that can assist are listed. The Web site for the U. S. Department of Housing and Urban Development has an informative section on buying a home. This site will link you to a simple and easy to use calculator that can assess how much you can afford for a home purchase. Single family detached: A free-standing residential building. Most single-family homes are built on lots larger than the structure itself. Multi-family residential: Multi-family is a classification of housing where multiple separate housing units are contained within one building or housing development. The most common form is an apartment building or a townhouse development. Residents in these units may rent from the owner, or own the fee-simple, condominium or co-op housing. 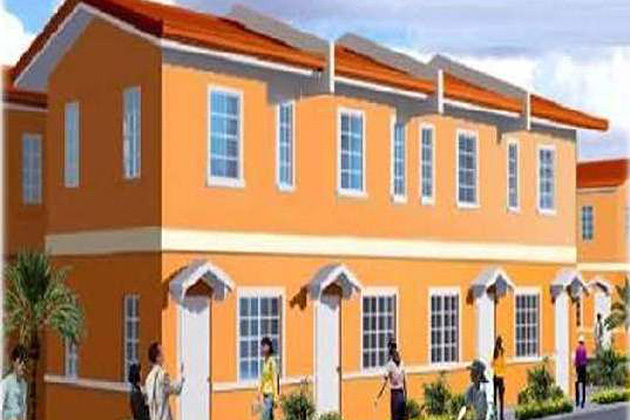 Townhouse units: Townhouse units are designed to mimic detached or semi-detached homes. The distinction between multi-family dwellings called “apartments”, which can be a co-op or a condo, is that townhouses usually consist of multiple floors, have their own outside entrance, and may have a private yard or terrace and usually are part of a multi-unit development. 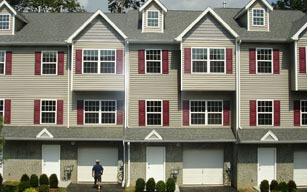 A townhome is usually purchased as a single unit that is attached to other unit(s) owned by other homeowners. In “condominium townhouses”, the purchaser owns only the interior, while the building and recreational common areas are owned by a condominium corporation. The corporation is jointly owned by all the owners, and charges fees for general maintenance and major repairs. “Fee-simple townhouses” are exclusively owned, without any condominium monthly fees and share common walls with other owners and neighbors. “Stacked townhouses” have multiple units vertically (typically two), usually with its own private entrance from the street. Duplex house: A duplex house is a semi-detached two-unit apartment building or condominium usually indistinguishable from a normal house on the exterior. The building consists of pairs of houses built side by side as units sharing a wall and usually in such a way that each house’s layout is a mirror image of its twin. Duplex can also refer to three and four unit buildings, sometimes called, respectively, triplex and fourplex. It’s important to find a reliable home improvement contractor. All home improvement contractors in Westchester must be licensed by the Department of Consumer Protection. Read the law and general tips on how to select a contractor and search for a licensed contractor. Consumer Protection frequently updates its list of "renegade renovators," who have a long complaint history. You can also learn how to file a consumer complaint if you come up against problems with your contractor. Homeowners shouldn't overlook the programs offered by Westchester County to assist with home improvement costs. If you meet the criteria, you may qualify for assistance. How can I contact the Better Business Bureau? Where can I get information on energy efficiency and conservation for my home? 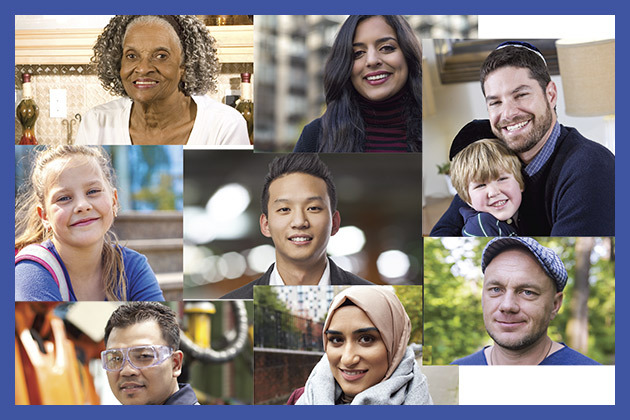 Low Income homeowners may also be eligible for Weatherization Assistance Program which provides for energy related improvements such as weather-stripping and caulking; repair or replacement of heating systems, doors and windows; insulation to walls and ceilings; and other minor repairs to ensure energy efficiency. Are there any additional home improvement programs? The programs below are primarily home purchase programs but contain financing options for home improvements and repairs. 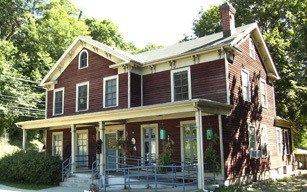 Hudson Valley Home Ownership and Revitalization: This program provides first-time home buyers with $25,000 in program funds for acquisition and renovation of an identified property. There are income eligibility limits for this program. A minimum of $12,750 must be used for renovation or repairs of the property. “Repairs” are defined as those which will prolong the useful life of a home or shall correct structural defects or the repair of basic building systems that affect health and safety of the homeowner. Home Ownership Initiative: First time homebuyers can apply to receive up to $25,000 for the purchase of a house, condominium or cooperative. At least $1,000 must be used for repairs to improve the housing quality standards of the purchased property. The assistance is in the form of a deferred forgivable loan that has recapture provisions. Are there any city- or town-specific home improvement programs? This program is designed to assist city residents correct health, safety and code violations, provide energy conservation and certain exterior repairs to homes. Income and program guidelines are determined by the U.S. Department of Housing and Urban Development. This loan program is available to homeowners in White Plains for the purpose of eliminating health or safety hazards as well as preventative maintenance projects. Repair projects may include roofing, replacement windows, boilers, carpentry, drainage, siding heating, plumbing and electrical upgrades. Several financial programs exist that can help you purchase a home through down payment grants and matched savings programs. They can also provide home improvement assistance. HAC is certified by the federal Department of Housing and Urban Development to offer several financial assistance programs which are listed below. HAC also offers first time home buyers counseling. First Home Club – This is a savings plan that works over 10-30 months and includes educational classes during the savings period. At the end of the savings period an individual may apply for a mortgage and receive up to $5,000 in down payment or closing cost assistance when they close on their first home. 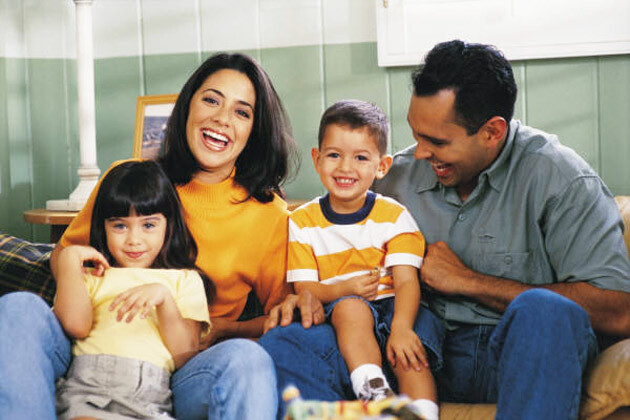 Front Door Program – You may qualify for a grant of up to $25,000 for down payment and closing costs if you are income-eligible and currently live in Westchester County. The First Home Club – This provides a 3-to-1 match to help build savings for a down payment and closing costs. Members who save on a consistent basis can qualify for matching funds of up to $5,000 from a participating bank. Club members are required to receive 8-10 hours of individual and group home buying counseling. Individual Development Accounts – From time to time, WRO offers Individual Development Accounts (IDA), another way of saving money to buy a home. WRO or a participating bank may match funds saved by the individual. Financial literacy training as well as homebuying counseling are required. One-to-one homebuyer counseling for first time home buyers. First Home Club – This offers up to $5,000 in down payment assistance to first-time home buyers. Participants save towards their down payment and/or closing costs while receiving matching funds. For every dollar that participants save, the sponsoring bank will give a match of $3 in grant funds, up to a maximum of $5,000. Participants need to save $1,667 to receive the full grant of $5,000 which would be added to the deposits for a total of $6,667.00. Participants are required to remain in the program for at least 10 months and must also attend a financial literacy educational class learn about the homebuying process. First Home Club is administered by WRO. Westchester County Home Ownership Initiative – This program provides $25,000 to income-eligible first-time homebuyers who are purchasing a house, condominiums or cooperative within Westchester County. Gross household income must be at or below 80 percent of area medium income based on size of household. The owner must occupy the property for years in order to keep the assistance. If the owner moves out of the property or sells, or violates the mortgage terms then all of a portion of the assistance will have to be repaid. 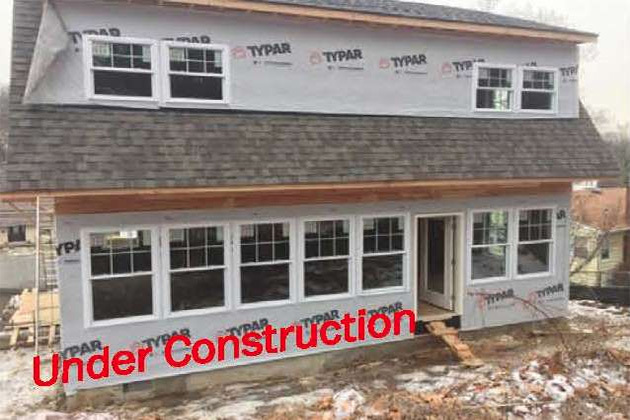 Hudson Valley Home Ownership and Revitalization – This program offers first-time homebuyers purchasing a property in Westchester or the Hudson Valley $25,000 in program funds for the acquisition and renovation of an identified property. Income limits are 80 percent of average median income for the area you wish to purchase your home. The assistance is in the form of a forgivable loan, which can be recaptured if the loan recipient does not occupy the property for 10 years. A minimum of 51 percent of the $25,000 -- $12,750 -- must be used for renovation of the property. “Repairs” of the home are defined as those that will prolong the useful life of a home or shall correct structural defects or the repair of basic building systems that threaten the health and safety of the dwelling’s residents if not corrected or repaired. 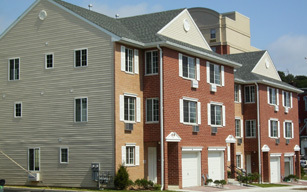 Human Development Services of Westchester (HDSW) is a HUD-Approved Housing Counseling Agency serving Westchester County. It is also the designated Neighborhood Preservation Company (NPC) for the Village of Port Chester, with the goals of increasing and preserving affordable housing, and neighborhood stabilization, for village residents. The First Home Club – This provides a 4-to-1 match to help build savings for a down payment and closing costs. Members who save on a consistent basis can qualify for matching funds of up to $7,500 from a participating bank. Club members are required to receive 8-10 hours of individual and group home buying counseling. One-to-one homebuyer counseling for first time home buyers – Confidential counseling is available to review current financial situation, go over credit reports, and develop the best possible strategy to afford a home within budget. If you have questions about home ownership, three HUD-certified housing organizations, which offer homebuyer counseling, would be happy to talk with you. Westchester has not-for-profit organizations that can assist you too. They may perform similar or different services and may serve specifically defined areas within Westchester. How can I find homes that are for sale or rent in Westchester? You can start with Web sites that list available real estate in Westchester County. The Hudson Gateway Association of Realtors offers a link to a database of available homes, condominiums and co-operatives. The county newspaper, The Journal News, offers classified listings too. You can access the national database of available rental apartments, where you'll find listing of apartments, condominiums and town homes. This site offers free e-mail alerts for new availabilities and contains up to six photographs for each listing. The Penny Saver offers listings online as well as through their free publication. Most of these are apartments being offered by the owner of the property without broker representation. Many apartments listed are located in homes and are commonly called “accessory apartments." Are there real estate organizations that represent all real estate professionals and can provide me with real estate sales and prices information? Yes, the Westchester Board of Realtors represents all real estate brokers in Westchester and Putnam Counties. The board maintains a database on residential sales prices and levels as well as access to the multiple listing service that lists property sales.